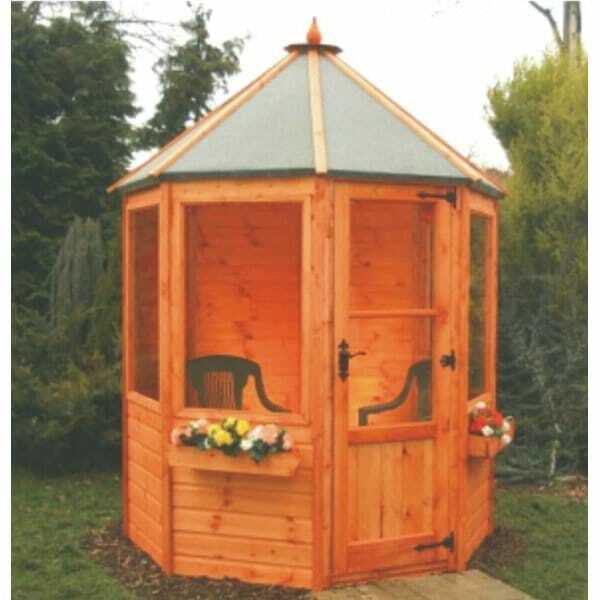 A1 Cleveland Octagonal Summer House: 6 x 6 / 6 x 8 / 8 x 8: The A1 Cleveland Octagonal Summer House is a wonderful summer octagonal building for your garden this season. Constructed from top quality Swedish Pine and made from easy to assembly panels with T&G cladding, this summer house is a must have addition to your outdoor space. With the option to truly personalise this summer house, you’ll be able to create a building that is different and top quality. You can choose form clear glass glazing or to have a square leaded glass or Georgian style timber inserts, this lovely summer house will be unique.